Cupcake addition and subtraction worksheets for your students to practice math facts. This no-prep packet includes 10 worksheets. 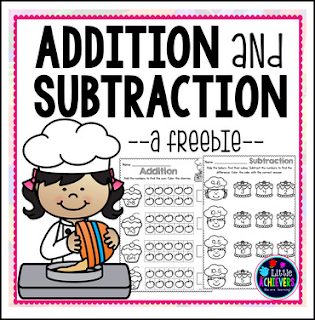 Great for morning work, math centers, or homework. Click here to check my other math resources for Kinder and First Grade! !